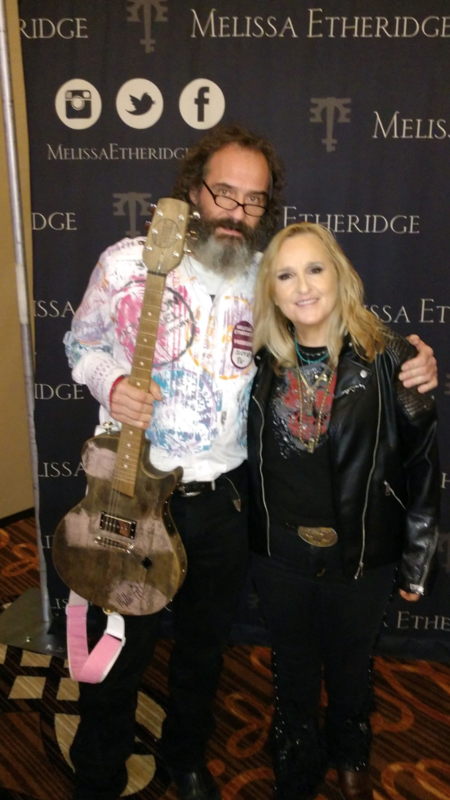 At her concert in Cincinnati, Ohio on June 29th, Grammy award-winning singer songwriter Melissa Etheridge was introduced to “Susan,” the Bourbon Barrel guitar I built to honor my sister who died of breast cancer in 1999. 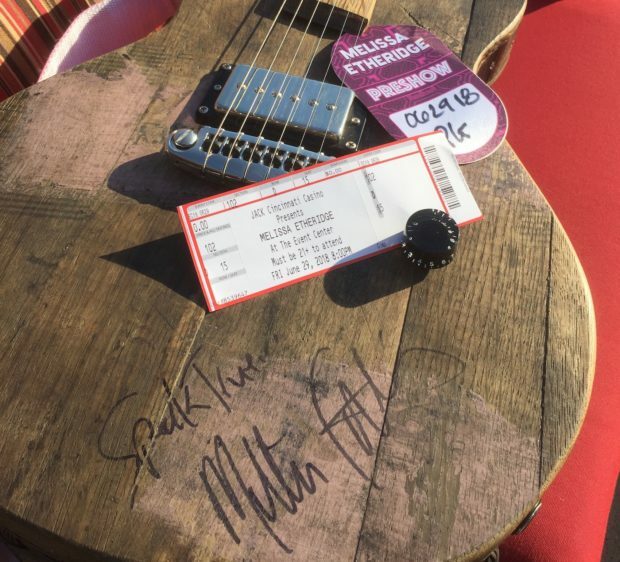 Ever since I built the guitar 3 years ago, it has been a goal to connect with Melissa who is, herself, a breast cancer survivor. She loved the guitar and thought that it was a beautiful tribute to my sister and I was honored to have her sign the guitar. She put on an amazing show and I had the privilege of sitting front and center in the 4th row thanks to their kindness. If you get the chance, check her out on this tour, she is better than ever. 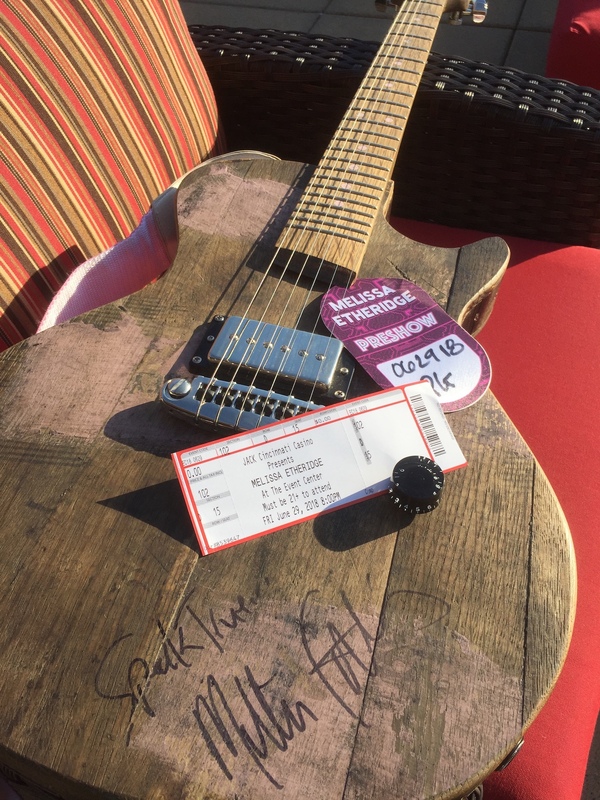 To learn more about this guitar, click here to see my 2015 post.